Feature documentary tells the true story of twins separated at birth, reunited through the internet. Mark your calendars. The award-winning feature documentary Twinsters will open in limited theatrical release on July 17 in New York City and on July 24 in Los Angeles, and then more U.S. cities on July 31. 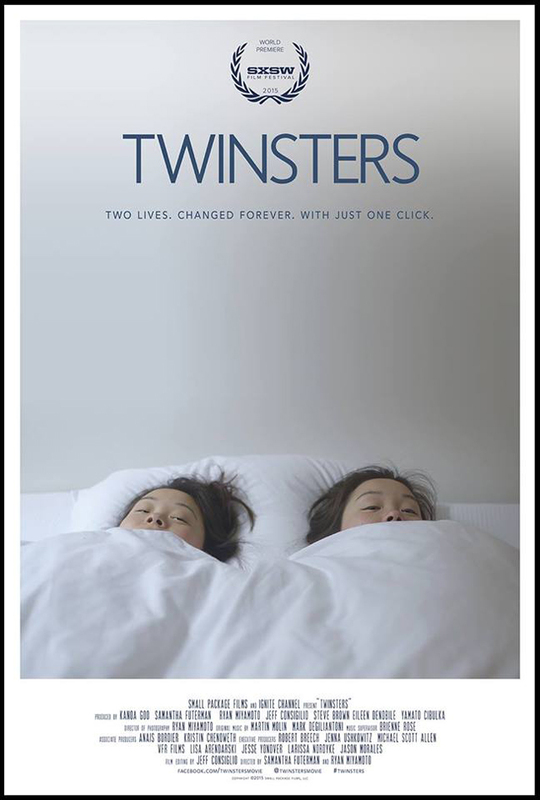 Twinsters tells the extraordinary story of Samantha Futerman and Anaïs Bordier, identical twin sisters born in Korea, separated at birth, raised on two different continents, and miraculously reunited decades later through the power of the internet. It's a pretty darn incredible story, and it's all true. In February 2013, Anaïs, a French fashion student living in London, discovered a YouTube video featuring Samantha, an actress in Los Angeles, and was struck by their uncanny resemblance. After discovering they were born on the same day in Korea and both put up for adoption, Anaïs reached out to Samantha via Facebook. Then... reunion! Joy! Tears! All caught on camera. The film, directed by Samantha and Ryan Miyamoto, had its world premiere earlier this year at SXSW, where it won a Jury Award for editing and was a Grand Jury nominee. The film also won the award for Best Documentary at the Los Angeles Asian Pacific Film Festival in April. And now it's coming to a theater near you. Call up some friends and make some plans to go to the movies. For more information about the film, visit the official Twinsters website and follow updates on the Twinsters Facebook page.